The army chief who ousted Thailand's prime minister in a bloodless coup said Wednesday that a new, temporary constitution will enacted within two weeks and a general election will be held in October 2007. 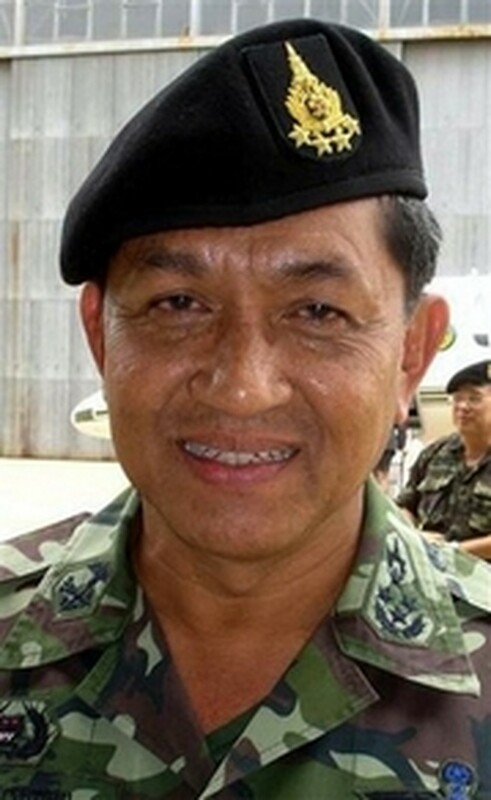 Army chief Gen. Sondhi Boonyaratkalin told a news conference that he would act as prime minister for two weeks until a new leader "who is neutral and upholds democracy" is found. The new government would not hold on to power for more than a year, he said. In the country's first coup in 15 years, Sondhi led a rapid, well-orchestrated overthrow while Thaksin Shinawatra was in New York at the U.N. General Assembly. Not a shot was fired during the nighttime operation, which started late Tuesday. "I am the one who decided to stage the coup. No one supported me," Sondhi said, referring to Thailand's revered King Bhumibol Adulyadej. The new regime put the country under martial law and declared a provisional authority loyal to the Thai king, ordering government offices, banks, schools and the stock market closed for the day, and seizing television and radio stations. Sondhi said on nationwide television that the overthrow was needed "in order to resolve the conflict and bring back normalcy and harmony among people." Meanwhile, a Thai newspaper reported that ousted Thaksin arrived in London Wednesday to reunite with his family. The report on the Web site of the English-language journal The Nation cited no source, and could not be immediately confirmed. Asked whether there would be moves to confiscate Thaksin's vast assets, Sondhi said that "those who have committed wrongdoings have to be prosecuted according to the law." He did not elaborate. The bloodless coup was the first overt military intervention in the Thai political scene since 1991, when Suchinda Kraprayoon, a military general, toppled a civilian government in a bloodless takeover. He was ousted in 1992 following street demonstrations.